In Answered Prayers in Alaska, Carolyn Edwards shares inspiring stories of how God has worked in her and her family's life. She shares miracles of protection and spiritual breakthrough that will encourage your heart. Edwards was born and raised in Alaska, the descendant of nomadic Inuit peoples. As I was being led to document and share the miracles, signs and wonders that the Lord our God in heaven had allowed me to witness throughout my life, I wondered . what was the first miracle that God had allowed me to be a witness to? Then I remembered, my aaka ("aah kaa" is an Inupiaq word meaning mom, but is used by many to reference a grandmother). If it wasn't for the intercession of praying aaka's (grandmothers) and the grace of God answering their prayers, where would many of us grandchildren be? I give God all the glory for what he has done for me and my family. I believe one of Gods desires is for us to achieve the purpose that he created us for. May God Bless each and everyone of you. 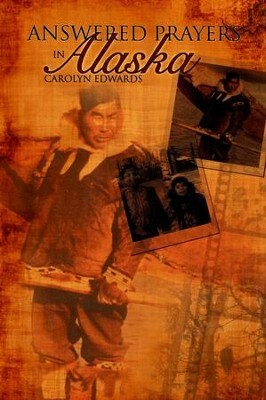 Carolyn Edwards was born February 2nd 1961 at Tanana, Alaska and raised throughout Alaska all her life. Her grandparents were Horace and Gertrude Ahsogeak living nomadic lifestyles throughout the Alaskan north slope until settling in Barrow, Alaska around the 1940s. She is born to serve the Lord, married since 1988, have been blessed by God to adopt three big hearted children and truly thrilled with five grandchildren. I'm the author/artist and I want to review Answered Prayers In Alaska.